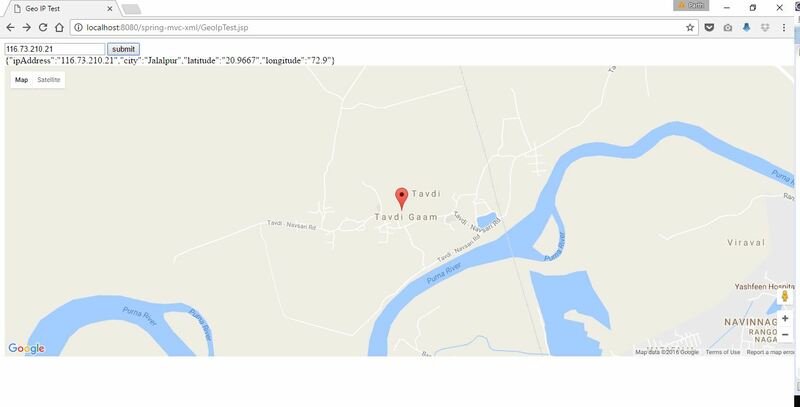 In this article, we will explore how to get geographic location data from an IP address using the MaxMind GeoIP2 Java API with the free GeoLite2 database. We will also see this in action using a simple Spring MVC Web demo application. To get started, you’ll need to download the GeoIP2 API and GeoLite2 database from MaxMind. To get the latest version of the API, you can find it on Maven Central. Next, you’ll need to download the GeoLite2 database. For this tutorial, we are using the binary gzipped version of the GeoLite2 City database. After you unpack the archive, you’ll have a file named GeoLite2-City.mmdb. This is a database of IP-to-location mappings in the proprietary MaxMind binary format. 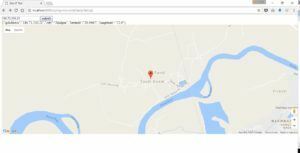 Let’s look at a sample web application that fetches geolocation data from a user’s public IP address and displays the location on a map. We will start with a basic Spring Web MVC Application. Then we’ll write a Controller that accepts an IP address in a POST request and returns a JSON response containing city, latitude, and longitude deduced from the GeoIP2 API. You can obtain an API Key for Google Maps using the Google Developer Console. Note that both GeoIP2 and ipify support IPv4 addresses as well as IPv6 addresses. In this tutorial, we reviewed the usage of the MaxMind GeoIP2 Java API and free MaxMind GeoLite2 City database using a JUnit test. Then we built a Spring MVC Controller and service to obtain the geolocation data (city, latitude, longitude) from an IP address. The code for this tutorial can be found on the Github site. What IDE do you use for the tutorials? the version?